Doha Municipality has announced a comprehensive plan of action for Eid al-Adha, which includes intensifying and tightening health control at food establishments. The Doha Municipality has started intensive control and inspection tours on all the food and services facilities and outlets within Doha. All the facilities and services at these places were checked. 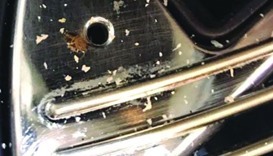 In addition, Eid prayer yards and mosques and public places were sprayed with insecticides. 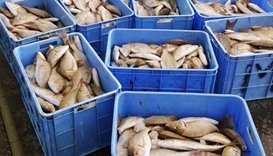 Doha Municipality's General Control Section, the Ministry of Municipality and Environment and Ministry of Interior on Friday conducted a sudden inspection campaign targeting street vendors in the Industrial Area. 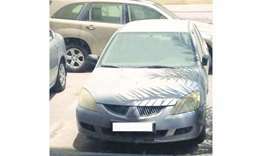 Doha Municipality's Municipal Control Department, in co-operation with the Mechanical Equipment Department, has conducted a campaign to remove abandoned vehicles from the Bin Mahmoud and Central Market areas, over two consecutive days. 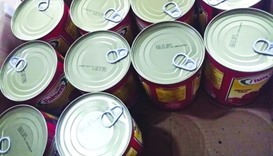 Doha Municipality's health control section has conducted an inspection tour on the food facilities within its jurisdiction and spotted some violations. 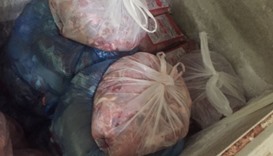 Doha Municipality Health Control Section has spotted a number of food facilities and outlets keeping expired food products as part of its inspection campaign within the municipality. 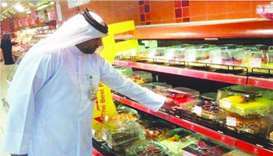 Doha Municipality Health Control Section has spotted a number of food shops rules of food health and safety. 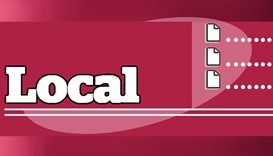 These include a sweets shop at Markhiyah Area, a restaurant at Old Al Ghanim, and a restaurant at Bin Mahmoud. 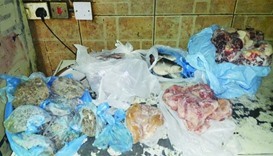 The health control section of Doha Municipality has spotted a shopping centre in Najma area storing foodstuff in the basement of the building in unhygienic condition.